Soft Cover, 312 pages, . 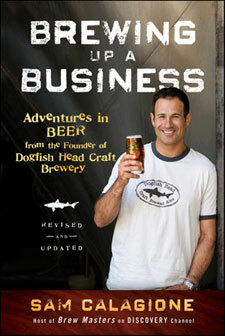 Updated business wisdom from the founder of Dogfish Head, the nation's fastest growing independent craft brewery. 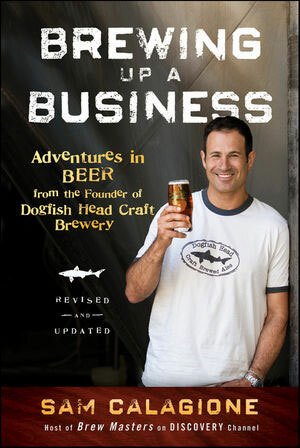 Starting with nothing more than a home brewing kit, Sam Calagione turned his entrepreneurial dream into a foamy reality in the form of Dogfish Head Craft Brewery, one of America's best and fastest growing craft breweries. In this newly updated Second Edition, Calagione offers a deeper real-world look at entrepreneurship and what it takes to operate and grow a successful business. In several new chapters, he discusses Dogfish's most innovative marketing ideas, including how social media has become an integral part of the business model and how other small businesses can use it to catch up with bigger competitors. Calagione also presents a compelling argument for choosing to keep his business small and artisanal, despite growing demand for his products. For any entrepreneur with a dream, Brewing Up a Business, Second Edition presents an enlightening, in-depth look at what it takes to succeed on their own terms.